After releasing the teaser trailer of the film a month ago, the makers of Aashiqui 2 chose to release its songs first, unlike other filmmaker who usually release the Theatrical Trailer first. And now, when the film’s release date is less than a fortnight away, the makers have finally released the Theatrical Trailer of the film. And one can say that the wait was just worth it. The trailer featuring the fresh couple – Aditya Roy Kapur and Shraddha Kapoor is simply a delight to watch. A sweet, simple and cute love story is what Aashiqui 2 is all about. 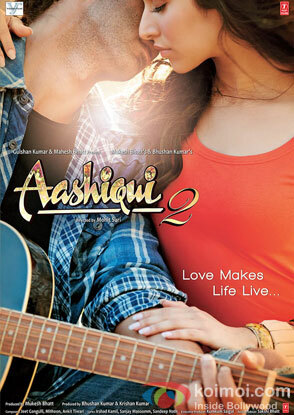 Aashiqui 2 releases 26th April 2013.